Fast and Furious: Judge Amy Berman Jackson lets Congress know what she thinks of the shutdown. A federal judge tells Congress what it can do with its urgent “Fast and Furious” litigation. 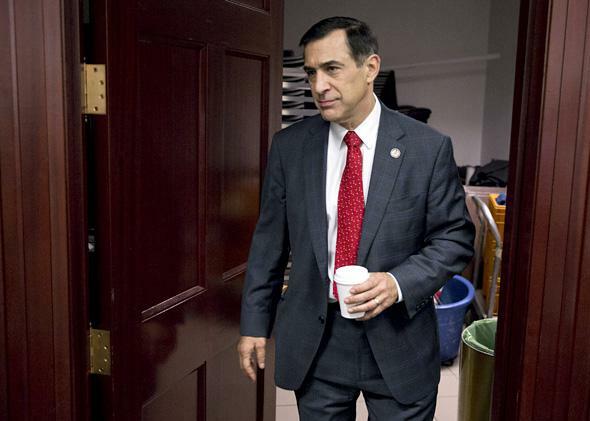 Rep. Darrell Issa, R-Calif., has only himself and his colleagues to blame for the delay of his committee’s lawsuit against the Justice Department. As we end the first week of a government shutdown that manages to be both catastrophic and juvenile at the same time, it’s heartening to see that at least some folks in positions of authority have managed to recognize it for the empty theater it really is. U.S. District Court Judge Amy Berman Jackson has been charged with ruling on the endless, sprawling lawsuit brought by Rep Darrell Issa’s House Oversight and Government Reform Committee seeking to hold Eric Holder in contempt for failing to turn over documents related to an investigation into the Obama administration’s “Fast and Furious” operation. The suit has plodded on for almost two years, after Holder refused to comply with House subpoenas digging into a disputed ATF undercover operation aimed at gun traffickers on the Mexican border. The Obama administration has asserted executive privilege over certain documents demanded by the California Republican’s committee and also suggested that the issue was not appropriate for resolution in the courts. Federal courts around the country have been struggling this week to contend with truly hellish delays in the administration of justice. Almost every civil case that involves the U.S. government has been halted in the New York courts. The ACLU acceded to a delay in a challenge to the Obama drone strikes policy. DOJ sought a stay in a massive case regarding the proposed merger of US Airways and AMR and in the voting-rights lawsuit challenging the Texas voter ID law. Nevertheless, the oversight committee filed a motion requesting that the suit against Eric Holder go forward, claiming that the “Department’s Contingency Plan provides that Department employees may continue to work on matters necessary to the discharge of the President’s constitutional duties and powers.” In other words, the matter was sufficiently urgent that furloughed DOJ lawyers should be forced to volunteer their services to work on the case without pay. In other words: You break it, you bought it. Case closed.